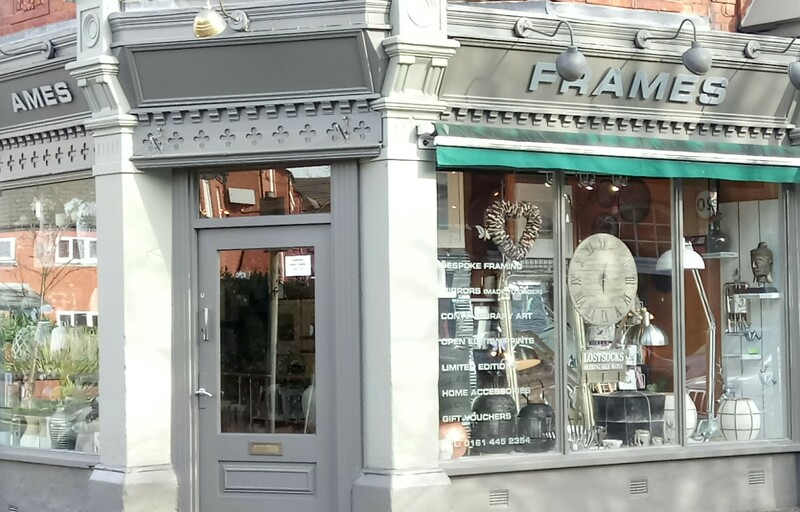 Frames have been framing in west didsbury for over 25 years, offering an extensive choice of picture frames with emphasis on design, quality and competitive pricing. We frame original artworks, limited edition prints, photographs, posters, football shirts, sports memorabilia, cross stitches, jigsaws, medals and 3D objects. We also make mirrors to order and have a huge selection of mouldings to choose from enabling you to achieve a perfect size and finish to suit your decor. Our fully equiped framing workshop is based in Northenden and offers an alternative outlet for our bespoke framing and mirror service. Both the Didsbury shop and the Northenden showroom also have a range of ‘ready-made’ frames. Alongside the framing service Frames Didsbury stocks a fantastic selection of gifts, home accessories and a wide range of beautiful jewellery.